This is a one of the popular picnic spot and is located near the holy seaside city of Orissa. This beach is situated at a distance of about 8 km from the holy city of Sri Jaganath Puri, which is caressed by the turbulent waters of the Bay of Bengal. Bhubaneswar is the nearest airport, 62 kms away. This beach of Orissa is uniquely located at the Bay of Bengal and river Nuanai. 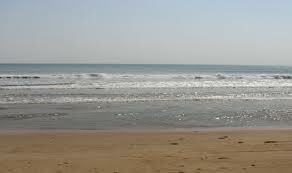 This Orissa beach is well known for its scenic natural beauty and calm environment. This beach is away from the hustle and bustle of your city life and relatively secluded beach can come as a welcome relief and retreat for the tourists. The best time to visit Balighai beach is during the month of October to June. A unique feature of this Balighai beach is its casuarinas trees lined river. It is an isolated and very clean beach which offers magnificent views of sunrise and sunset. All these make Balighai beach an ideal picnic spot, which is also favoured by the honeymooners to romance and relax, while snuggling in the serenity of nature. But thankfully still very few are aware of this paradise, otherwise it would have reduced itself to another tourist destinations. Here one can also have glimpses of the Baliharina deer that lives in this area. The major tourist attraction is the Sea Turtle Research Center. A Tourist can enjoy the usual beach activities on Balighai beach, which include swimming, sunbathing and other assorted water sports. Explore the endless waves on the calm shore is also a wonderful experience, which also happens to be a humbling one.